If you stay in the city of Mumbai during the month of September, then you will be able to see the grand celebrations of Ganesha Chaturthi. Tall and short idols are worshipped by people to bring good luck and to get protection from Lord Ganesha. It is a significant festival for many other states including that of Madhya Pradesh, Karnataka, Goa etc. So, let us know a little more to see the reason behind the celebration of this festival. 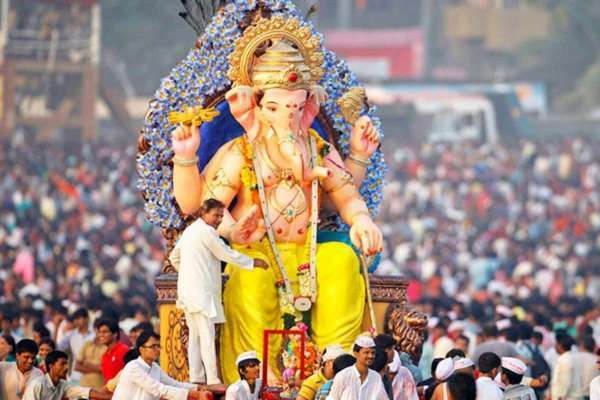 What is Ganesha Chaturthi celebrated? The main mythological cause of celebrating this festival is because the day is the birthday of Ganesha. So, people present him with offerings so that the God resides over them for the upcoming months. The festival originally started in the court of Chatrapati Shivaji Maharaj. He wanted to celebrate the battle. The main idea of the puja is a form of a public event in which everyone forms a community by coming together for organisation and other things. The next important occurrence of a mass Ganesh Chaturthi was in 1893 with the idea of Lokmanya Bal Gangadhar Tilak. He had the thought of a sarvajanik Ganesha Utsav which will bridge the gap between the people. He wanted a unity that will drive India towards its independence. He also wanted to curb the Hindu-Muslim violence that often took place in different locations. How is Ganesha Chaturthi celebrated? Ganesha Chaturthi is a process that involves several things that go into making it a success. This includes forming the idols and also funding for the celebration. Most people in Maharashtra participate in a communal celebration and also bring Bappa to their homes. People provide offerings to the God in both their house and the pandals that are created for the community worship. Generally, a Bramhin comes to finish the puja and give the house or pandal its blessings. After that, the participants have the prashad. The domestic celebrations generally go on for 11 days at a stretch and every day has its own significance. The families have formed their own customs over the years to celebrate this holiday. After everything is over, the community member or the family members go to a water body and immerse the idol. This signifies Lord Ganesha’s journey to his home. It is a great festival and every year people celebrate it will the same excitement and vigour. The feeling of a community-based love and merriment is the best quality of the Ganesha Chaturthi festival.